None of us were born knowing how to navigate from cradle to K12 to career. For guidance, we relied on family and friends, teachers and mentors, and often school counselors – whose many contributions are being celebrated this week, February 4 to 8, during National School Counseling Week. Every part of the educational process is important – every part. But just as a math teacher might have a particular affinity for algebra, and a language arts teacher for literature, a school counselor’s job is to see the whole picture – and to consider how the unique circumstances, skills, and passions of each student fit into an all-encompassing navigational framework. With most counselors working with hundreds of students, this is a daunting task, but from countless potential professions they chose this one, which means they have the mindset to help students succeed. This definition of Navigation lies at the heart of what school counselors help students do every single day. With tight school budgets and a society that grows ever more challenging – especially for young people – our counselors can use all the help they can get. That’s why ACT, as a nonprofit, provides tens of millions of dollars’ worth of fee waivers each year so students can take the ACT test at no cost. School counselors play an important role supporting students who need financial help, including by encouraging them to apply for our Fee Waiver Program, which includes the registration fee for up to two ACT tests, free access to learning resources including ACT® Online Prep, ACT® Rapid Review™—All Access, and ACT® Academy™, and up to 20 regular score reports beyond those designated during registration. As part of our transformation, in 2018 we acquired The National Research Center for College and University Admissions (NRCCUA), the nation’s largest college and career planning program for students seeking postsecondary guidance, which among its services offers the myOptions platform, which is free for students, parents, and educators. And while 2019 is only a month old, we’ve already taken in the American College Application Campaign (ACAC) from the American Council on Education. ACAC uses independent committees in all 50 states and the District of Columbia to help more than 500,000 underserved students complete more than 800,000 college applications each year. Young people also need role models and a community of support, which is why we’ve created the My Success campaign. Students can learn from other people’s stories as they navigate toward their own personal and professional goals. It takes across-the-board excellence to be a great school counselor, and across the United States we are fortunate to have nearly 300,000 committed professionals who strive to meet that standard. Many of us would not be where we are today without the support school counselors provided at some point during our lives. On behalf of the tens of millions of young people whose lives you continue to shape each year, thank you. ACT is a mission-driven, nonprofit organization dedicated to helping people achieve education and workplace success. Grounded in 60 years of research, ACT is a trusted leader in college and career readiness solutions. 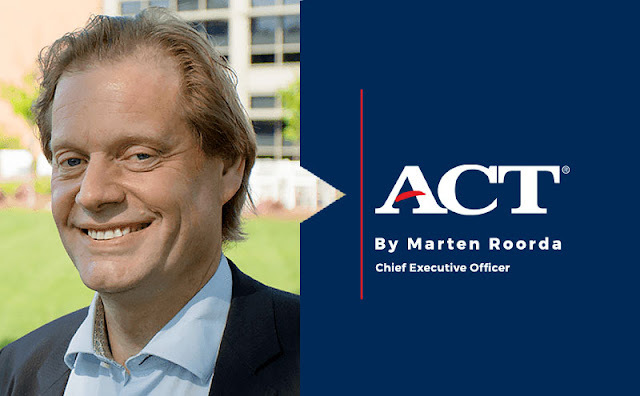 Each year, ACT serves millions of students, job seekers, schools, government agencies and employers in the US and around the world with learning resources, assessments, research and credentials designed to help them succeed from elementary school through career. To learn more, visit us at act.org. Success is as unique as a fingerprint—and so is the journey to achieve it. The My Success campaign was created to provide a community of support, stories and resources for lifelong learning, to encourage and inspire individuals navigating their journeys to find success. Join our community of support and share your story of success by using #MyStoryMySuccess or visiting mysuccess.act.org.